In Wilson’s original chamber the air inside the sealed device was saturated with water vapor, then a diaphragm was used to expand the air inside the chamber (adiabatic expansion), cooling the air and starting to condense water vapor. Hence the name expansion cloud chamber is used. 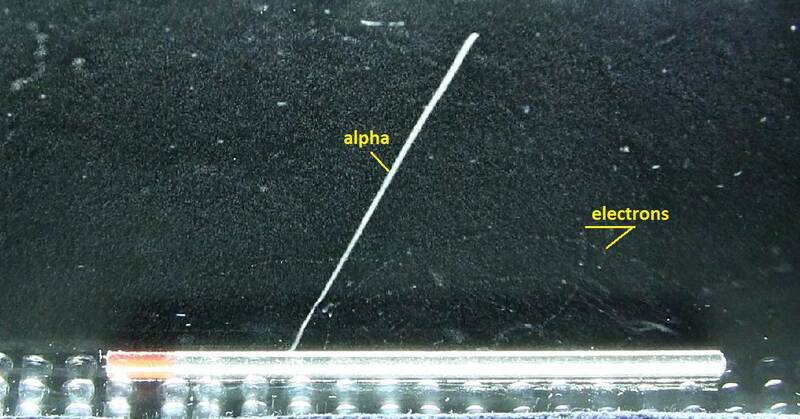 The first antiparticle, the positron, the muon, and the first strange particle, the kaon, were also first identified using cloud chamber. Although diffusion cloud chambers were never broadly used in nuclear and particle physics research, being easy to build an carry they still remain interesting educational instruments. 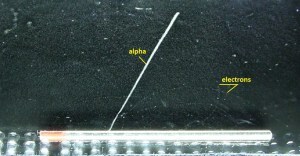 A diffusion cloud chamber differs from the expansion cloud chamber in that it is continuously sensitized to radiation, and in that the bottom must be cooled to a rather low temperature, generally colder than −26 °C (−15 °F). Instead of water vapor, alcohol is used because of its lower freezing point. Nowadays, they are an easy way of learning about and visualising elementary particles and radiation.